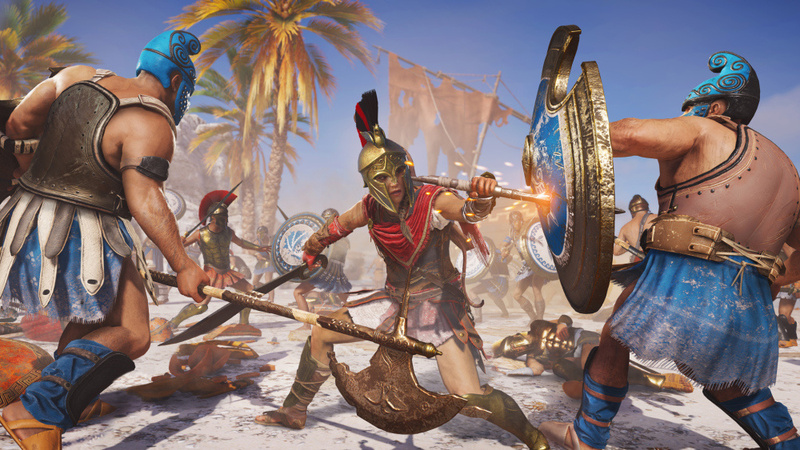 “Assassin’s Creed Odyssey has topped franchise sales records for the current generation*,” publisher Ubisoft has exclaimed in a press release. The caveat is that the organisation’s working off overall revenue rather than unit numbers – and it’s throwing players’ “recurring investment” (read: microtransactions) into the mix. We suppose at the end of the day none of the small print will matter one jot to shareholders, because the bottom line is that this instalment has made more money in its first week than all of its PlayStation 4 predecessors. However, when you consider that the company sold the most expensive version three days earlier than the standard release, you’d kinda expect an upturn in week one revenue. Let’s not be too negative, though: this is a great game that deserves its success, so kudos to the French firm for pulling off another massive hit. 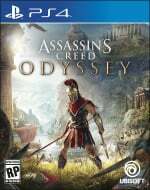 “Based on the quality of the game and the very encouraging reactions from players, we expect Odyssey to be one of the top performing Assassin’s Creed games of all-time,” said chuffed marketing bigwig Geoffroy Sardin. Can we stick a line about this not being a Greek tragedy somewhere in the article? Surely no one’s written that one on this site yet, right? "Well, that's the headline Ubisoft wants us to use"
So you guys sold your souls to Ubisoft? I feel bad for the devs...they did an awesome game but still have to take crap for microtransations and special editions that let you play 3 days early! I'm thankful for those three days. RDR 2 is coming fast. It most certainly does not "deserve its success" any game that deliberately puts in a boring grind so they can sell you xp boosters deserves nothing. That's really really sad. A game makes more money throwing in paid experience, and making those more savvy people grind for it. The "grind" is no more than countless other RPG's. The xp boost is so not even needed. @Splat stop making sense. You're supposed to be outraged, k? At least you guys are being honest, lol. Also Sammy, you forgot an l in installment in the second paragraph. @GKO900 yeah I sold them my soul, and in return I’m enjoying a bloody good game. Next question. @Splat From what I can gather a lot of people are playing this like a "traditional" AC game(and who can blame them for that?) in which case the grind for story progression is a very real concern. However,players who are tackling the game like an RPG and levelling up via side missions and other tasks are having no such problems. That is where the dichotomy in reports of the games "grindiness" is coming from. I don't have problem with early release or dlc, but mtx for single player games is just wrong, the game will be tailored so players will have buy the mtx to play the game normally without grinding, it's a solution for the grinding problem that ubisoft itself made. I can play god of war and spider-man without worry because I know the developers made the experience system for the games solely for the players to have fun, not for the players to pays up. @Nightcrawler71 I was referring to the headline not the game itself even when I totally disagree with the micro transactions in the game but since you are playing the game are micro transactions intrusive in the game? Watched some footage and the cartoony accents alone make my skin crawl. Yes people, jump on the bandwagon and start hating this game, it's OK again. We all need games, franchises and developers to loath, what's a gamer's life without it? It always falls on specific franchises to be this pre-destined target: Tomb Raider, Assassin's Creed, Dynasty Warriors, Need for Speed, Just Cause, and so on. It doesn't really matter how good their next game is, it's mandatory to continuously find new ways to complain about it, it's 'what we do'. @Bonbonetti Judging things on their individual merits and objective critical appraisal require thought and rationality. Jumping on a bandwagon does not. Odyssey is almost too good to be a Ubisoft game. They surely stole the code. Oh and from experience, you don't need to buy any boosters. digital sales will more than likely be more than previous entries too. I'm fatigued by this series. Origins looked great, but now its all just window dressing for the same tired thing...again. Bring back Tenchu, I need a decent atmospheric stealth game. @LaNooch1978 that's the point right there! I started with Origins running through just playing the main quests and odd side quest, but I was just running from point to point and you miss so much that way. By missing things you don't increase your XP and you need to grind later on. @FullbringIchigo rubbish. Games change and develop over the years and AC has changed for the better. By your logic God of War isn't a God of War game and BOTW isn't a Zelda game either. @FullbringIchigo You can't be a Zelda fan if you think that. BOTW has virtually no similarity to the older games short of the main characters. They have taken almost everything out and changed it. God of War is a totally different experience. AC is no different. The old games were tired and stale and so they changed to keep up with modern gaming. @FullbringIchigo I did listen. But your reply is basically I don't like the new Assassin's creed because it is different. @FullbringIchigo So your criticism is the title then? @Splat I suppose my question (as someone who isn't particularly 'outraged' as such) is that would the game be better with or without a lot of grind? If it would be better then why is it still there? I'm not a big AC fan but by all accounts, this game looks pretty darn good so not getting on the hate wagon but I think gamers should always be weary if a game gives you grind, even if a fun grind, and then presents a payment option to remove the grind. Because that suggests the grind is not a core gameplay mechanic. tbh i have noticed nothing of needing to grind for the story missions. don't those missions scale with your level anyway? altough i do play side quests along the way aswell. the only things that you need to be a high level for is the end game content which is the point of end game content. Love this title like all other AC games. It has evolved for the better over the years. Some franchises just die out this one they looked at and enhanced. Its no longer a game you rush through. You savour the monets running, climbing or riding around the different areas. It deserves every bit of its success. You know what you will get from reading the reviews if your not willing to put the time in then you will not get the most out of the game or you can take short cuts. I bought this as a time killer before Red Dead & holy crap do I love it! What a fantastic game. And the so called grind is nothing at all, explore a bit, do a couple of side quests & you're good to go.